Honestly, a person doesn't read Doctor Who novels expecting much beyond a day or two of escapism. 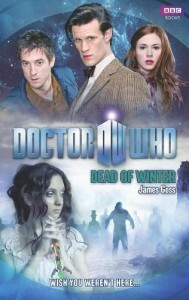 But Dead of Winter is unexpectedly better than that average, offering a burst of growth for the genre, while capturing the strange meta-consciousness of the Matt Smith-era scripts and translating it -- widely successfully -- into book form. Simply put, this is the kind of Doctor Who novel fans deserve to see more often.The form here is brilliant: first-person remembrances, epistolary passages, subtle references to the larger historical context, and characterizations that not only feel true, but stretch the cast with emotions and experiences that reach beyond the show and make believable humans of these people. There are also several twists of plot to rival Steven Moffat's.Viewers already know that Human Nature was rewritten into a successful episode for David Tennant, and fans should hope for the same with Dead of Winter and Matt Smith. The book is easily the best written and best plotted of the Doctor Who books I've read precisely because it treats itself as a novel first and not just an attempt to parrot an already successful show. 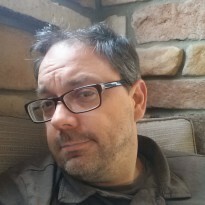 A less-attentive author might feel fans would be just as happy with less, but James Goss has here accomplished something very special: a novel centered around Doctor Who that finds much more human experiences to talk about.